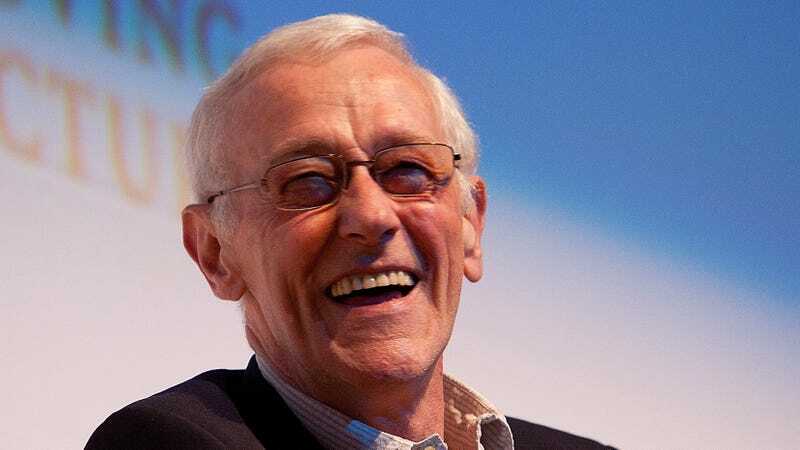 John Mahoney, the veteran actor best known for his 11-year run as patriarch Martin Crane on the hit sitcom Frasier, has died. His manager confirmed reports of Mahoney’s death to Variety, saying that he died yesterday while in hospice care in suburban Chicago. He was 77. Born in war-torn England in 1940, at the age of 19 Mahoney decided to follow his sister to America, where he joined the Army, became a U.S. citizen, and got both a bachelor’s and a master’s degree. In 1970, he moved to Chicago to take a job as the editor of a medical journal; it was there, at the age of 37, he decided to seriously pursue his lifelong dream of becoming an actor. (As he told the Chicago Tribune in 1996, “there was this deep-seated frustration. I knew that the only place I had ever been really happy was on stage.”) In 1977, he was cast in David Mamet’s play Water Engine, beginning a love affair with Chicago theater—John Malkovich recruited him for Chicago’s famed Steppenwolf ensemble, which he called “my brothers, my sisters, my father, my mother, my wife” in 1996—that would continue until the end of his life. After Frasier wrapped in 2004, Mahoney split his time between voice acting and the stage (Broadway and otherwise), returning to TV for an arc on the second season of HBO’s In Treatment and for a role as Betty White’s love interest on Hot In Cleveland from 2011 to 2014. His last televised role was a one-episode guest spot on the British detective drama Foyle’s War in 2015.